ShortScale :: View topic - NPsD - Keeley 30ms, TC T2 SubnUp, Dunlop mini Vol. 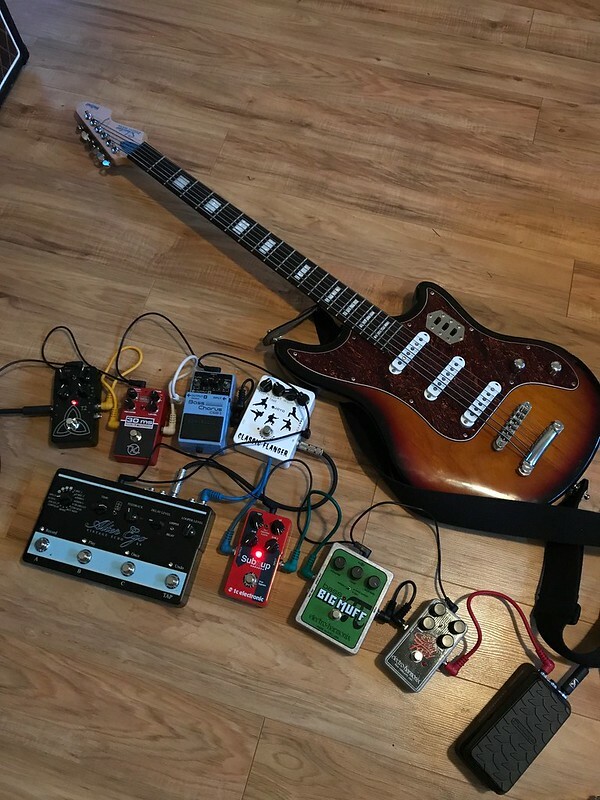 NPsD - Keeley 30ms, TC T2 SubnUp, Dunlop mini Vol. Posted: Sat Sep 09, 2017 6:36 pm Post subject: NPsD - Keeley 30ms, TC T2 SubnUp, Dunlop mini Vol. I took advantage of the Labour Day sale at ProGuitarShop, and bought myself a couple new toys to help me make spacey sounds. Even with exchange, shipping and duty, it was cheaper to buy from PGS, than a Canadian source. I nabbed a Keeley 30ms, TC Electronic T2, Sub n' Up, Polytune 3, and a Dunlop Mini Volume pedal. It's going to take some playing around with each of these to see what settings work best, but, I've had about 20 minutes of messing around time, and am pretty happy with each pedal with both VI and guitar. The T2 is going to require a lot of playing around to figure out which presets, at what saturation work best for what, but it's easy to dial in some interesting dripping reverbs on several presets without much work. The 30ms, I've really only tested in Abbey Road setting, and it sounds fantastic. Messing around with the different modes and effect types is going to take a lot of experimentation. The Sub n' Up is performing at least as well as my friends' MicroPOGs in Poly mode; I've only used Vintage mode for a minute. I was mildly surprised that the Dunlop volume pedal was passive, which is a nice plus, since it doesn't eat up a lead on my power supply, and can easily be dropped into the chain. The size looks a little goofy, but, the action is smooth and comfortable, despite the size. It's pretty easy to manipulate, though it's not a linear taper; most of the action is in the last little bit of rock. I haven't hooked up the Polytune yet, but I've been using the phone app and clip tuners for years, and have seen them in action. I'm playing a gig tonight, though, and it'll see some time.